For home buyers, a large lot can seem like a a benefit or a burden, depending on the way the lot is maintained and presented. 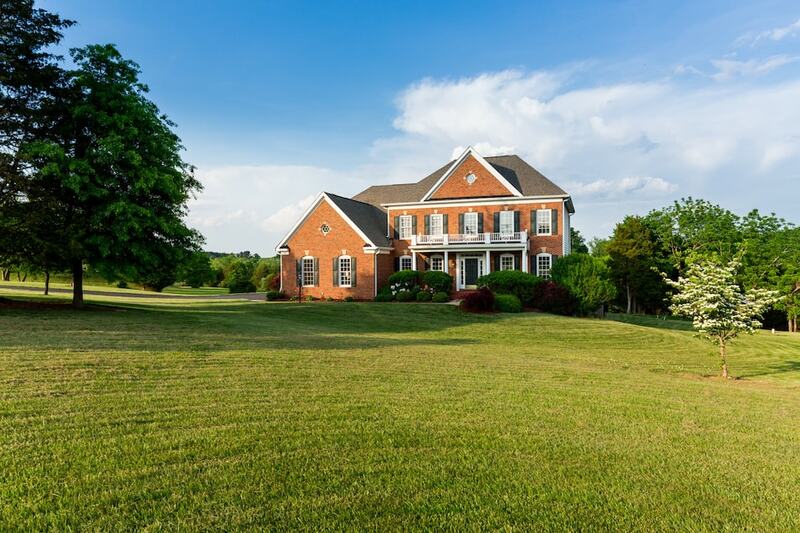 Emphasizing the benefits of your large lot and keeping the landscape simple can help you stage your home and boost curb appeal during the home selling process. Many home buyers are reluctant to buy a property with a labor-intensive repair project like repair of a fence. A poorly maintained fence may cut into your profits when the house sells. Before putting your home on the market, check the fence that lines the property. Look for problems like peeling paint, rust, rotten wood and other problems. Make any repairs that need to be made. If the fence has been stained, you'll be able to tell whether or not the fence needs to be re-stained by the way the wood absorbs water. Spraying the fence with a jet of water from hose, a fence that needs to be re-stained will soak in the water. A fence that does not need to be re-stained will repel the water, and droplets will roll off without being absorbed into the wood. During the home selling process, many home owners become caught up with keeping the house clean for showings and packing their belongings to move. This can make it hard to maintain a large yard. Allowing the grass to grow too long or neglecting the flower beds can cut back on curb appeal and may lead to smaller offers. To avoid this problem, find help or hire a gardener to come to your home once a week to cut the grass and maintain the garden beds. This will help ensure that the lawn always looks tidy and well maintained. Many home buyers are intimidated by complex and exotic landscaping designs. In addition, huge garden beds can signal to home buyers that the yard requires constant upkeep. An elaborate garden may be beautiful, but it may not be a bonus in the eyes of a home buyer. Home buyers appreciate simple, tidy landscaping that requires little maintenance, because the first year after moving in to a new home can be hectic and difficult. To keep landscaping low-maintenance, plant colorful annuals like impatiens, marigolds and pansies. These plants need little more than regular watering in order to thrive. Fill empty spaces in the landscaping with shrubs or easy to maintain ground cover. When choosing shrubs, select drought-tolerant plants that can handle a little neglect throughout a long, hot summer. Many buyers will want to explore your property before making the decision to purchase. To encourage exploration and to make crossing your property easier, install pathways through the high-traffic parts of the yard. Since high traffic areas also tend to be muddy, installing pathways over these parts of the yard can make the property more tidy and attractive. To install this smart improvement, buy flat patio stones or landscaping stones. Dig out the yard where the path should be, then lay down a layer of pea gravel to encourage good drainage around the pathway. Finally, lay down the stones and fill the cracks between the stones with fine sand or soil. Your property may include a wooded area or field where organic debris like dropped branches, felled trees and dead shrubs are a common sight. You may not mow the grass in these areas, but clearing debris is important for curb appeal. Make regular rounds of the property and rid the property of fallen organic debris. If the yard has large trees that drop leaves in autumn, rake leaves as they fall. Allowing leaves to lay on the yard may signal to buyers that the property is high maintenance. Healthy grass is important to home buyers. With a large lawn, maintaining the grass is doubly important because the grass is such a big part of the landscape. There are many ways to encourage healthy grass. Water the grass deeply twice each week. Most types of grass require approximately 1.5 inches of water each week during the growing season. Re-seed bare patches in the yard and allow the grass to regrow before putting the home on the market. Limit the parts of the lawn where the dog is able to spend time, if you own a dog. Grow ground cover in parts of the lawn where grass will not grow, like in areas of deep shade. Your real estate agent can help you decide the best ways to attract buyers during the home selling process. One or two months before putting your home up for sale, talk to a real estate agent to find out what you can do to make your home and yard more attractive to buyers. This will help make the home selling process more successful.